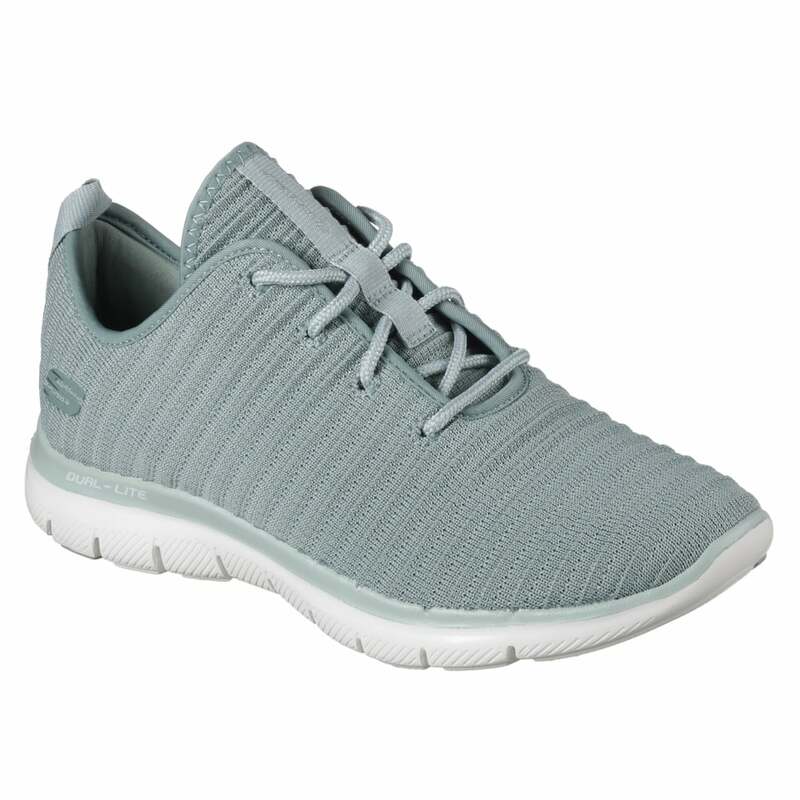 Make every step comfortable and cushioned with the Skechers Flex Appeal 2.0 - Estates shoe. With an athletic one piece textured knit fabric upper in a sporty lace up sneaker. Designed with a air cooled memory foam insole and lightweight shock absorbing midsole.